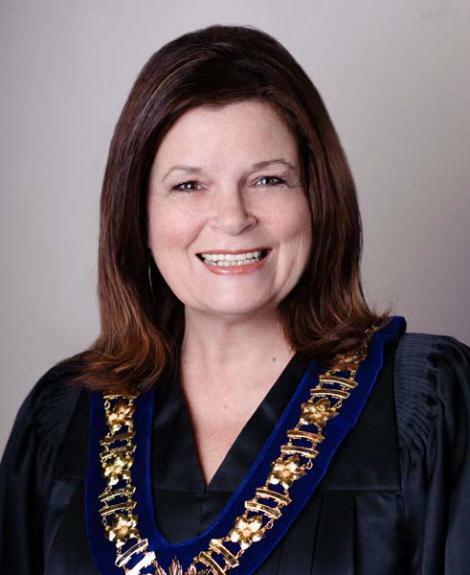 Abbotsford, BC – February 1 UPDATE – Abbotsford City Council passed the amended by law. This brings the rules in compliance with the BC Supreme COurt decision in 2015. FYI – There are 157 parks in Abbotsford so the homeless will be allowed to camp overnight. There are three exceptions: Exhibition Park, Mill Lake Park, and the park area around the Civic Plaza. Homeless can camp out at the other parks areas between 7 PM and 9 AM. January 29th UPDATE – The somewhat controversial temporary homeless shelter on Riverside Road will stay open longer than planned. The new closure date is May 30th. The original shut down date was April 30th. However, Abbotsford Mayor Henry Braun has gone on record stating that there are discussions to extend that date. So far, the shelter (in the eyes of city politicians) has been a success. 13 people that have used the facility have gone on to find permanent housing. ORIGINAL STORY – On Monday January 25th, Abbotsford Council held first, second and third readings to amend the parks by-law including a direct provision to deal with the homeless who set up camp in Abby’s Parks. In a nut shell , homeless can not set up camp until 7PM and must be packed up and gone by 9 AM the next day. The entire revised by-law can be found here. There remains the 40 bed temporary shelter made of construction trailers on Riverside Road off Highway One. The problem there is that the shelter closed in April. 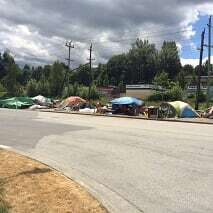 The homeless that have lived in various tent encampments have been the focal point of criticism from many Abbotsford residents concerned about personal safety let alone the campers hygiene and medical well-being. Mayor Henry Braun still wants to see an end to the tent city along the railroad tracks on Gladys Road. 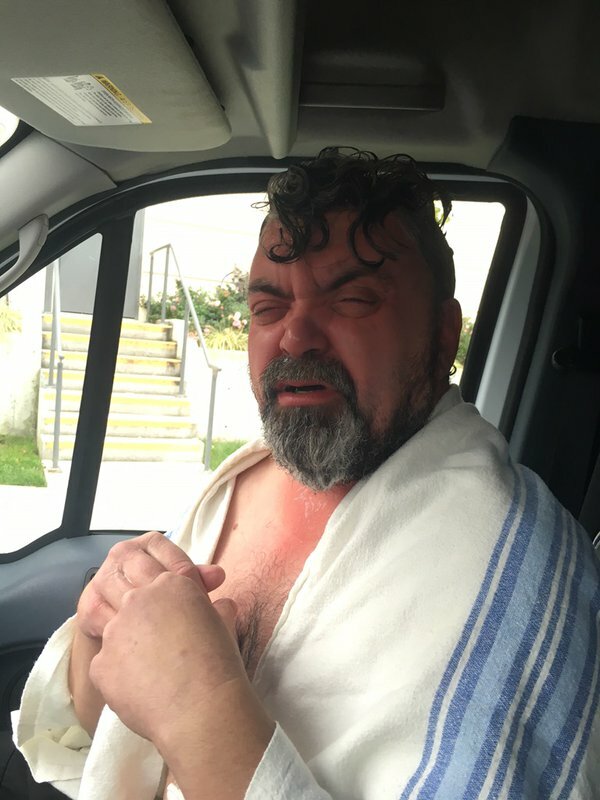 This all came after the city was embarrassed by the October 2015 decision where a BC Supreme Court Judge ruled the Abbotsford bylaw banning homeless from camping in parks overnight was unconstitutional. Mayor Henry Braun and the City accepted the ruling but expressed exasperation over the issue and vowed to take action, which they did. The BCCLA – BC Civil Liberties Association was in the thick of this debate, trying to keep a voice pen for the homeless that are caught in the middle. 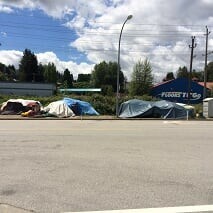 Be the first to comment on "Abbotsford Approves Amendments To Homeless Camping Parks By-Law – UPDATE"